Helping a unique generation achieve financial independence. 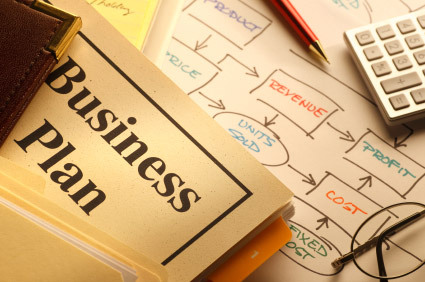 A business plan is a necessity in any business. If you are trying to figure out how to start your own business, the first place to start is with a business plan. Every business needs some type of direction and focus to help it move forward in the right direction. It doesn’t need to be a perfectly polished document, unless you are looking for some type of financing. If you don’t need any money for your business you can get by with a business plan that looks like chick scratch on the back of a napkin, but I still think you need something. But for the entrepreneur that wants some type of financing, that is a whole different story. Once people find out I invest in business startups they all of a sudden start coming to me with your business ideas asking for money. The first thing I say every time is show me a business plan, this weeds out almost all of them. It is surprising to me that so many people have pretty good ideas, but very few of them take the time to write a business plan for some reason. For those who do come back with a business plan they seem to leave out vital parts. A common characteristic of an entrepreneur is not taking the time to write out a business plan, I am guilty of this for sure. But I can say for sure that a business with a plan will always do better than a business without a business plan. Writing a business plan is just that, a plan. It isn’t a proposal or a college term paper, it’s a plan. Plans have to be thoughtfully organized, researched and attractively presented. Financiers discard business plans that are sloppily put together with no inherent sense or merit in favor of those well thought out and organized. Here are a few common mistakes in writing business plans you need to avoid. 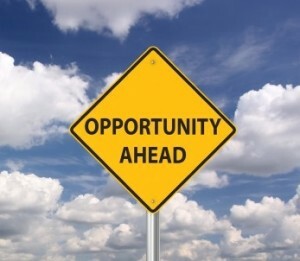 No financier will grant funding to a new business person without a plan. Some entrepreneurs are frightened to put their thoughts and dreams onto paper. Some put it off, hoping it won’t be necessary. Still others are afraid of refusal. An entrepreneur needs to take copious notes on all aspects of his business then organize the notes into a cohesive business plan. Important to those who finance new businesses are facts such as niche, demographics, need to availability ratio, market share, competition and market trends. And that’s before we get to sales and marketing, overhead, employee compensation and a dozen other start-up concerns. Research every distinct facet of your business, then organize the information into charts, graphs and tables. Make sure to label the charts, graphs and tables for clarification to the financier. One of the pitfalls for entrepreneurs is confidently stating there is no risk or there is little to no competition in the chosen business venture. Financiers are aware that if consumers want something, they know where to get it. Investors know there is risk involved in business. They also know that when you begin doing business, competition will appear, even if there was little before you started. Knowing where the risk and the competition are will strengthen your position, because you will write it into the business plan. In planning a business, the state of the economy must be considered. If the entrepreneur wants to be in business five years from now, he needs to know what the economic projections are. Will his product or service still be needed five years from now? Will the public still be willing to bear the price? Will the market be saturated with the product or service in five years? No one can accurately predict the economic future, but these are some realistic questions to consider in the business plan. If the entrepreneur is short on sales skills, it should be written into the plan with a solution to the problem. Should the new business person be in need of administrative skills, it needs to be noted along with the answer. Perhaps the new business person needs better computer skills. It should go into the plan in addition to the solution. If the business person is honest in his shortcomings and can show a financier that a solution to the problem can be found, the financier will look more favorably on the enterprise. Financiers pass over sloppy, wordy, fawning or hyped work in favor of fewer words with more impact, less superlatives and focused writing. If the business person could use writing skills, hire an editor. The writing needs to be sharp, focused and leave the financier in admiration of the magic of the idea. Presentation is everything, so if you need help with tables, charts and graphs, get it. Spell check the plan and get a grammar checker online to help. The plan needn’t be forty pages when ten pages of well chosen words will do. Make sure it’s done right and tighten up the writing if necessary. Remember that writing a business plan is about not only selling your idea, but you as well. Financiers want to see the magic in the genius in addition to cold hard facts. It’s just a plan, but make it the best you’ve ever done. How many of you have a business plan? KC Beavers is a semi-retired entrepreneur. 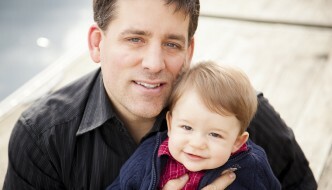 The subject of personal finance has always fascinated him. In an effort to not bore those around him with all his love of personal finance as much he has come here to bore all of you instead. Very nice and interesting read. I’ve seen a lot of entrepreneurs who have failed miserably because they don’t have a well thought of plan. They may have brilliant business idea, however, not very practical and do-able. They fail because they haven’t foreseen or expected hitches during implementation process. Very thorough info here, KC. Well written, good info! Thanks for sharing! Good points KC. Successful business doesn’t just succeed out of luck. Maybe there exceptions to that rule but most need a good and thorough business planning. Not doing so could definitely guarantee a failure. In order to be successful, you need to set your business' goals and why you are putting up this business so that you can prepare for what's ahead..